When you are in your thirties and forties, insurance companies seem to be willing to go to great lengths to get your business. In your fifties and sixties it’s still relatively easy, but once you reach the age of seventy, it becomes increasingly difficult to find insurers willing to take you on as a customer, and for some in their eighties and nineties it may seem almost impossible. Many insurance companies simply won’t insure people wishing to travel over the age of 79. There are insurers who will offer insurance policies to people over 80 but there will be restrictions for those who have certain known medical conditions, with exclusions from cover usually applied in these circumstances. However, it is essential that you advise insurers of all medical conditions you have as failure to do this could mean that your policy would be treated as invalid if you were to make a claim. A considerable number of insurance companies are very keen to have customers in their fifties and sixties, as many drivers in this age bracket drive with competence and sufficient caution to keep accidents to a minimum. Several companies deliberately target this lucrative market sector. However, once you reach seventy, your options for policy providers are significantly reduced, and by the age of 75 you are likely to be refused a policy by 75% of car insurance companies. 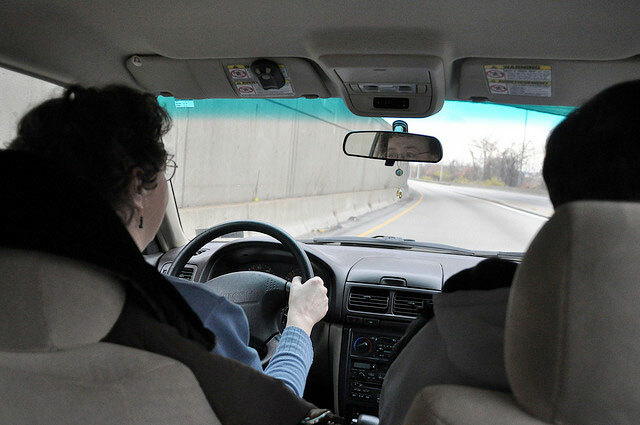 Drivers aged over 90 have just a handful of potential insurers to choose from. People with mobility issues or disabilities may find it best to choose a policy from a specialist disability insurance company. If you drive a mobility scooter you are not required by law to have insurance, although you are strongly recommended to do so. Again, companies specialising in disability insurance will usually be able to offer the best solutions. If you have specialist mobility equipment in your home, for example a stairlift, you will need to make sure that it is covered under your home insurance policy. Your stairlift supplier will usually provide a warranty and cover for breakdown, but they will not normally cover for accidental damage, so for this you would need to make a claim through your home insurer. Since a stairlift is a high value product, it may need to be listed as a specific item on your policy. It is best to advise your insurer as soon as you have your stairlift installed. With fewer options to choose from for insurance and therefore less competition between companies, you may find that insurance premiums are high, but no claims bonuses will help to bring the cost down, and make sure that your policy includes only the elements you need. For example with travel insurance check that you are paying specifically for the region you plan to visit rather than worldwide insurance, unless you are planning a round-the-world trip. For all types of insurance the most important thing is to get the policy you need so you have the reassurance that you are covered in the event of an emergency. This entry was posted in Elderly, OffBeat and tagged Insurance, older, People, Policies. Bookmark the permalink.